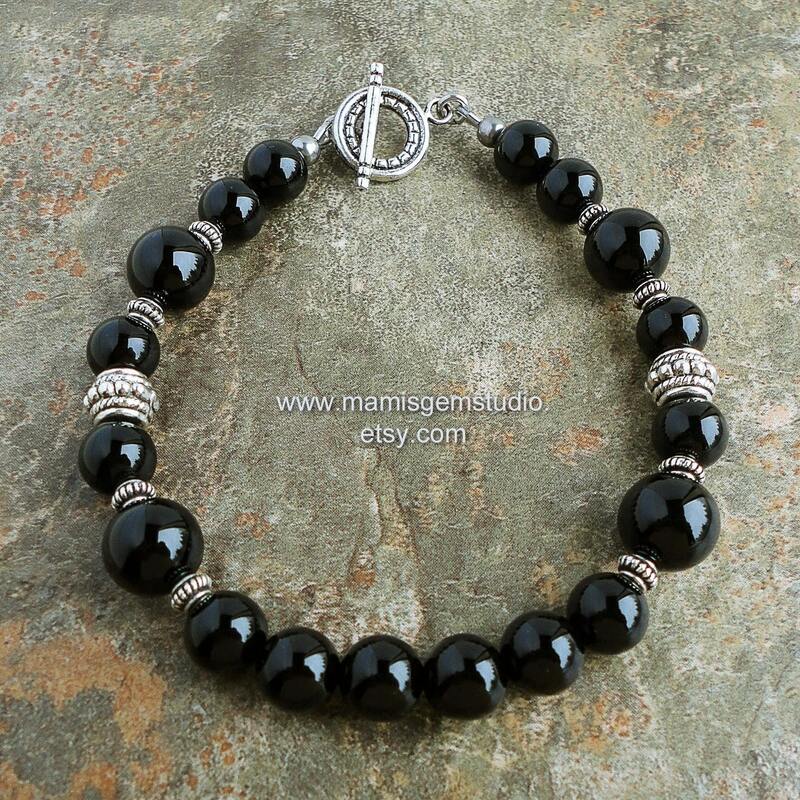 I designed and handcrafted this handsome men's bracelet with genuine Black Onyx gemstone well-polished high quality beads. It is adorned with Bali style pewter beads in antiqued silver finish. I finished off this classy piece with an easy-to-handle toggle clasp to complete the stylish appearance. A simple lobster clasp is also available. This is a great piece to wear in any occasions from casual to business and formal. IMPORTANT: For an accurate measuring, please use a tape measure or a strip of paper. The most common measuring mistake is to use something that has thickness (like a bracelet, a beaded thing, a chain, a watch, yarn, etc) to measure a wrist, which causes the result larger than actual size.